I've had so much fun looking through my Amish cookbooks and trying out new recipes. 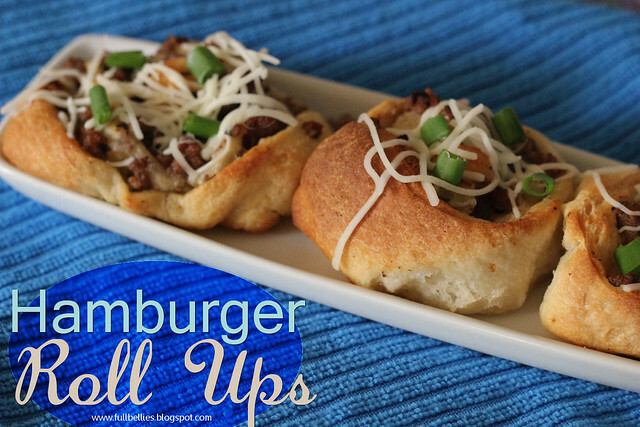 When I came across this one I knew it would be perfect for our Friday nights, which usually consists of pizza or sandwiches or something along those lines, something lighter. These are delicious, even my Nicholas who doesn't like onions, ate them without complaining. 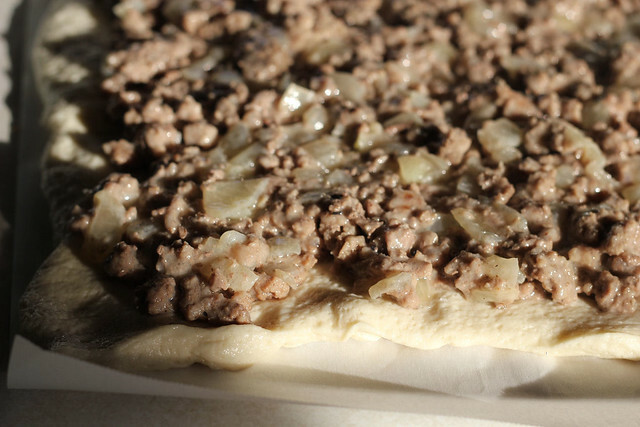 Brown the ground beef and onion in the oil; drain off some of the grease. Season with salt and pepper. Add the flour, stirring, and then gradually add the milk, continuing to stir until meat mixture thickens. 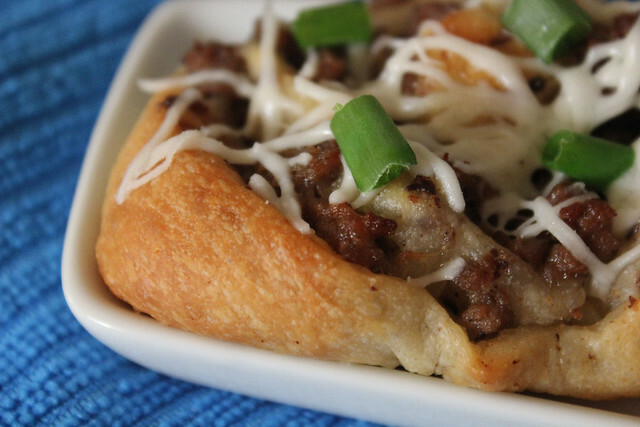 Remove from heat and allow to cool so it doesn't burn when you handle the roll-ups. Roll out the pizza dough in a wide rectangle. 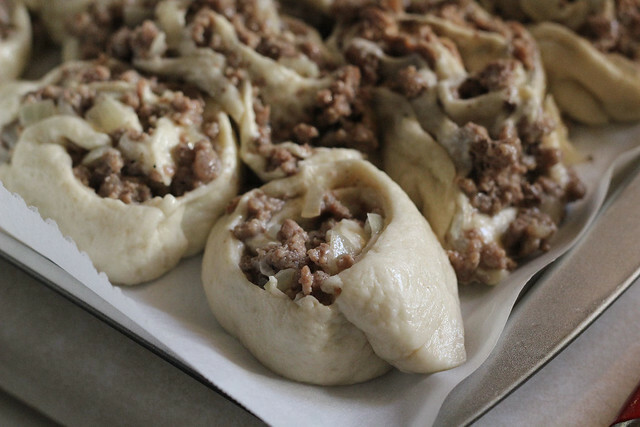 Spread the meat filling over the dough. Roll up into a log the way you do when making cinnamon rolls. Cut the log into 1 1/2 inch slices. 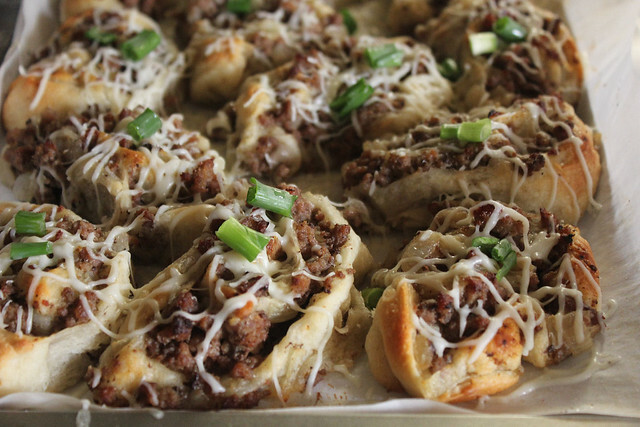 Place the roll-ups cut side up on an ungreased pan and bake at 375 F for 20-30 minutes or until done. I sprinkled some mozzarella cheese one mine, and a few sliced green onions.